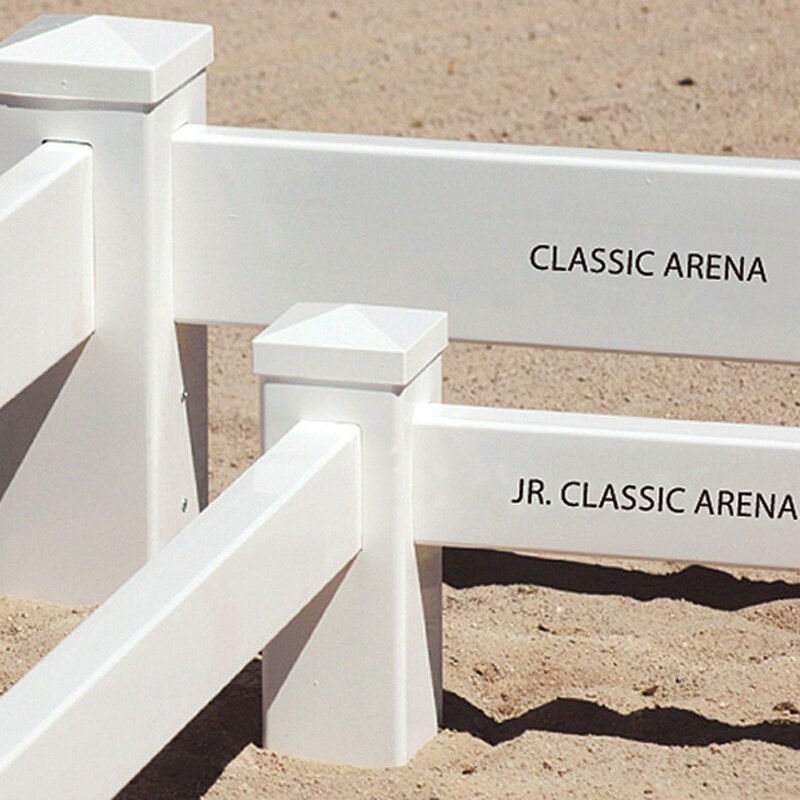 The Junior Classic Arena offers the same great design as the Classic Arena but in a smaller version at a more affordable price. The Junior Classic comes standard with the Post Anchor System for permanent installation. The posts are 4" x 4" x 14" and the rails measure 1 3/4" x 3 1/2" and are set at the height of 12". The Junior Classic includes two decorative round caps for the gate area. The Junior Classic is a great permanent arena for any training facility or stable. Available in 20 x 40m or 20 x 60m. This smaller jump size includes, Pony Post Standards, Stone Stacks (Set) with Flowers, Perfect Pole (3/4" wood, coated in polyethylene) and Jump Cups. Great addition to any beginner course! * Ships free! This bright, colorful jump is ideal training for your jumper. Six foot Wing Standards, Gate and Poles are colorful combinations that really liven up your arena! Polyethylene material makes this jump both durable and weather resistant. *Ships for free!